I'm here to tell you that gloves are an accessory. I admit it though...I really never paid a lot of attention to gloves. I thought of them as just a hand-warmer. 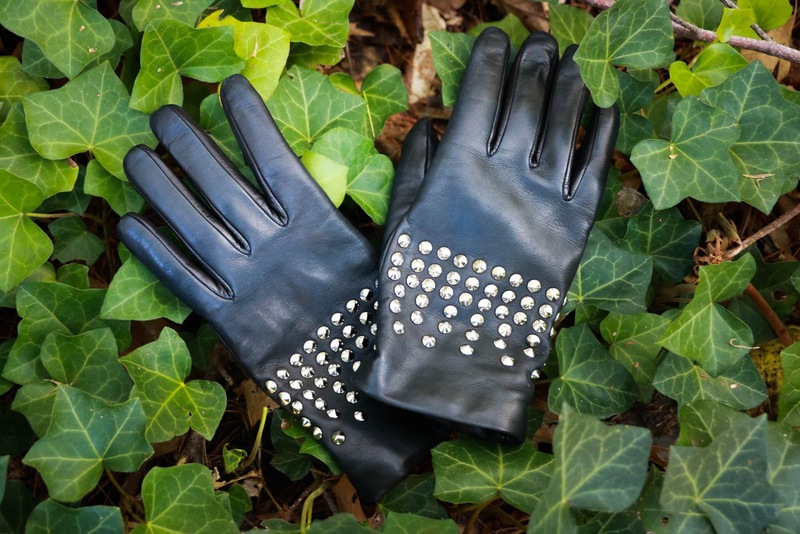 But discovering Beau Gant has totally changed the way I think about gloves. They're now part of my outfit. They're a statement piece and an addition to my cold weather wardrobe. In just a few words, they're AMAZING. Designed in Paris and made in Italy, Beau Gant is woman owned and woman designed. Let's hear it for woman power! The attention to detail is incredible and the quality is outstanding. 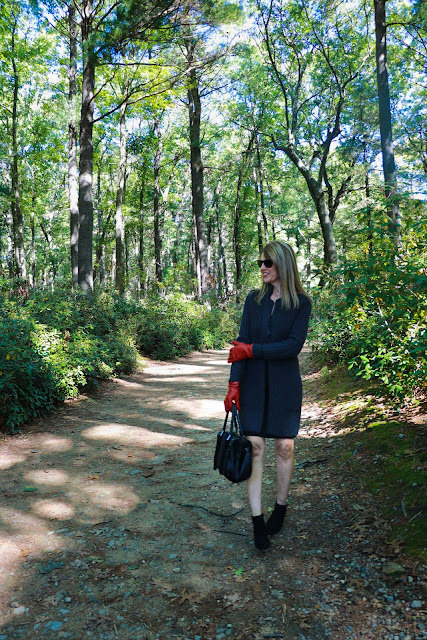 These gloves not only keep my hands toasty with a super soft cashmere lining, but they add sophistication to my outfit. These studded black leather gloves are a statement piece...who needs jewelry? And the leather is soooo soft...like butter. And if you're unsure of your glove size (like I was), Beau Gant has an easy-peasy way to figure it out. Check out their sizing video--it's adorable and totally accurate. I used it when ordering my gloves and it worked to perfection! Next up, I'm wearing these fabulous red gloves. The color is so rich and gorgeous! I feel glamorous. "Hello, daaarling!" Beau Gant has a wide selection of gloves with fabulous details (polka-dots to bows) and in every color of the rainbow. You'll find styles that range from super sophisticated, to edgy, to just plain fun. 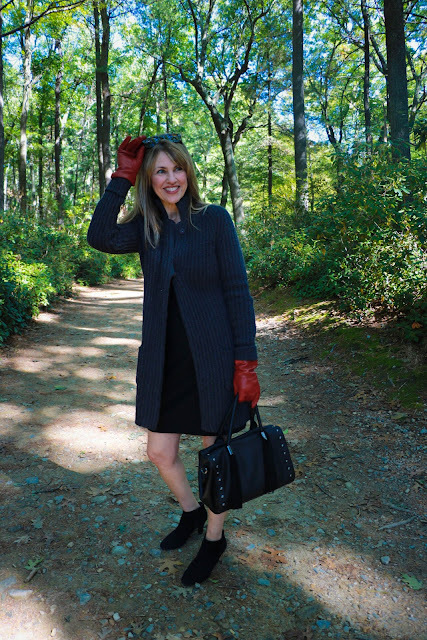 Wearing Beau Gant's classic gloves in dark red for a pop of color. Code mdfashionista2016 gives you 10% off any purchase! 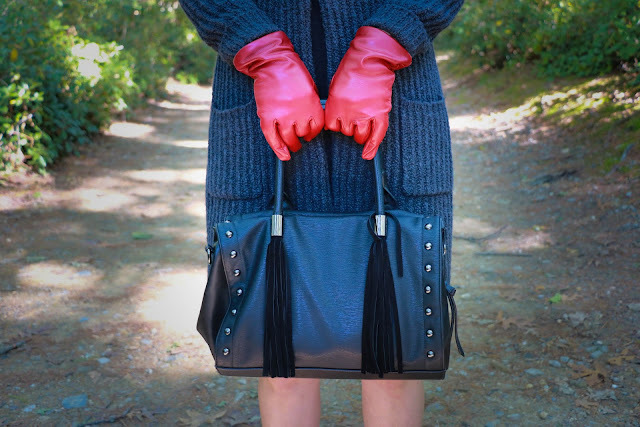 These gloves make great holiday gifts (buy one for her and one for you!). Explore the entire Beau Gant line here and find out more about this fabulous business! This blog is sponsored and Beau Gant gloves were gifted. However, the content of my posts are based on my own honest opinions and are not in any way influenced by partnerships. Seriously you are rocking those gloves ... both pairs! Black studs and then red ... be still my heart! 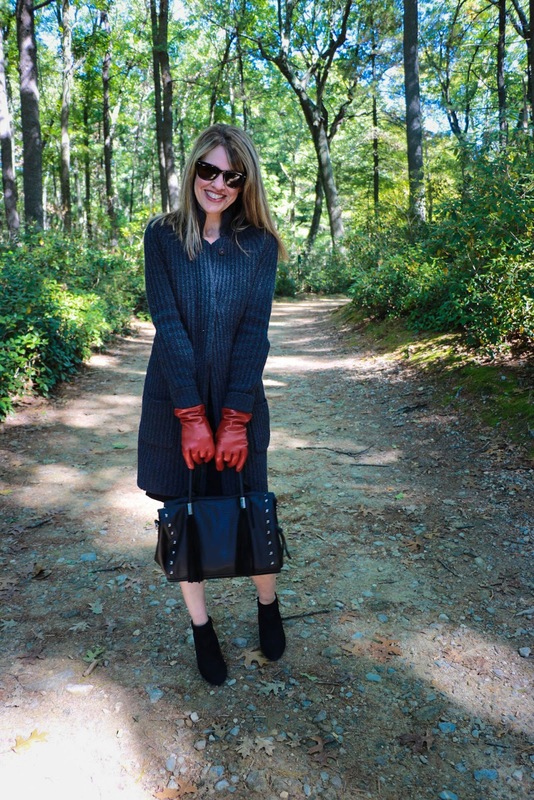 Thanks so much for joining the Fun Fashion Friday link up party! I have always love gloves as an accessory! Probably because my hands start getting too cold when the temperatures drop into the 50's. I need gloves long before I need a coat! 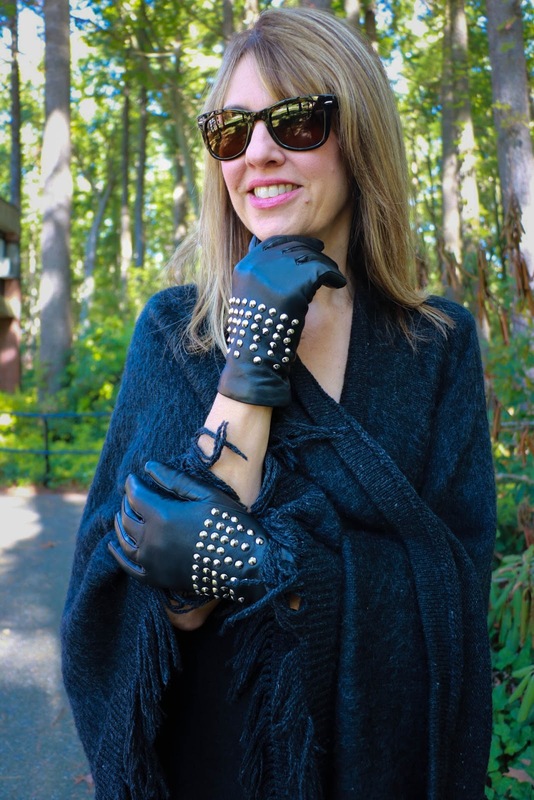 Fabulous looks and amazing gloves, for sure. Thanks for linking up with me On the Edge. Look gorgeous! I always want to dress with a cloth which makes my personality high, so I always spot winter trend fashion, because I have to coverup myself with jackets and scarfs.